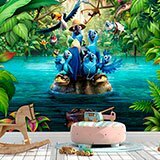 Wall mural Macaws of Rio. 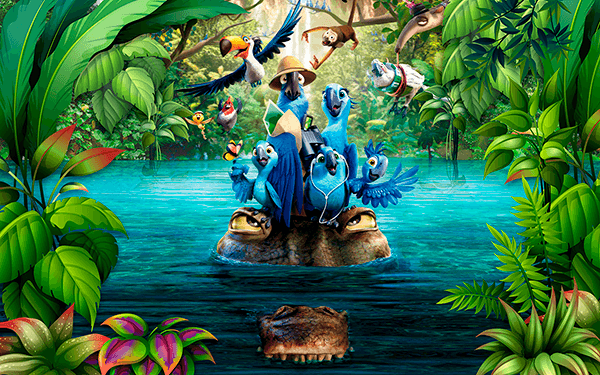 Fabulous image of the main characters of the film "Rio 2", from the company Blue Sky. 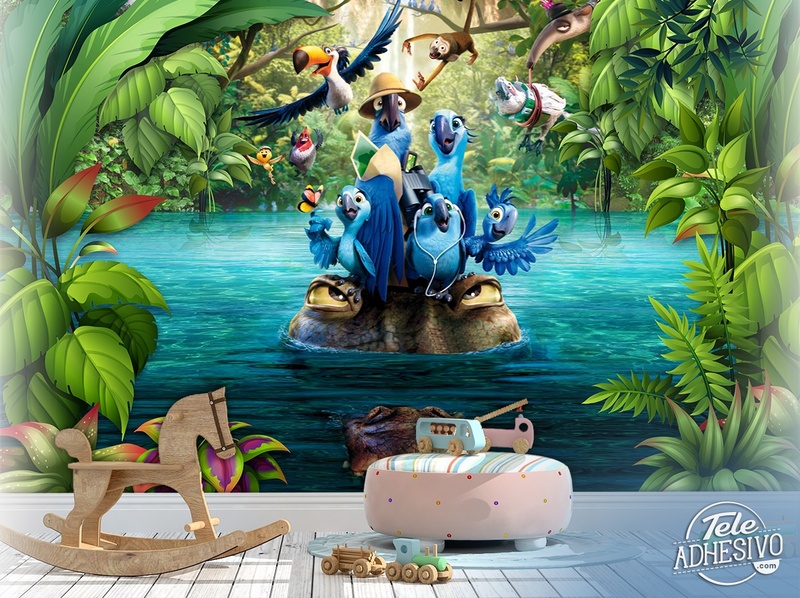 The film bases its story on a family of macaws from Rio de Janeiro, who decide to travel to the Amazon so that the three children learn to live like authentic birds.